The University City Children’s Center has a long and distinguished history of providing high quality child care and education. The Center converted an existing warehouse building into a state of the art 20,000 square foot child care center for 120 children. 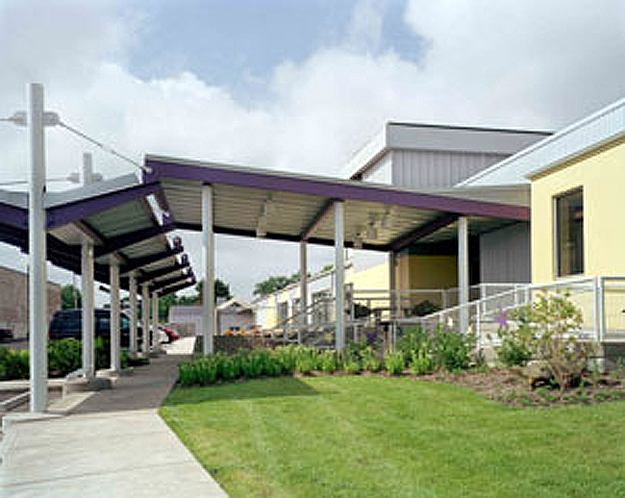 Eight classrooms were created in this building, with two infant and toddler classrooms; an age group that the Center could not previously serve. KWAME served as construction manager-at-risk and also self-performed rough and finish carpentry on the renovation project, which included classrooms for preschool children, a library, a resource area, playground and kitchen facilities.